Hey, You Got Your Borderlands 2 in my Minecraft. 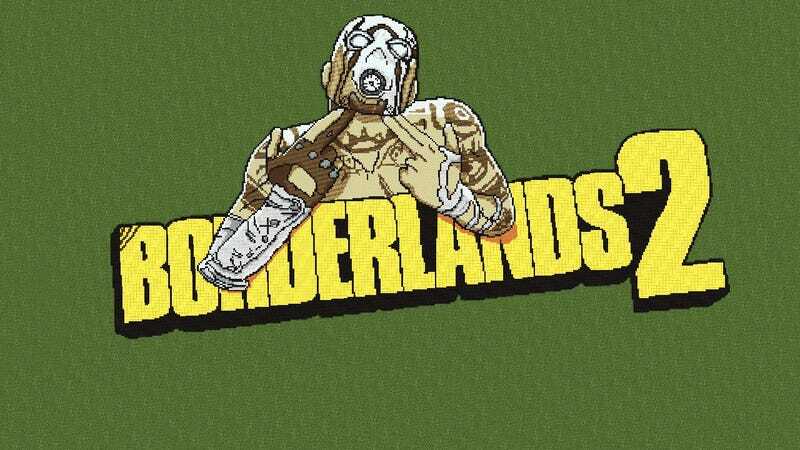 Someone went to the trouble of creating the full Borderlands 2 logo within Minecraft. Click the image to embiggen the picture.